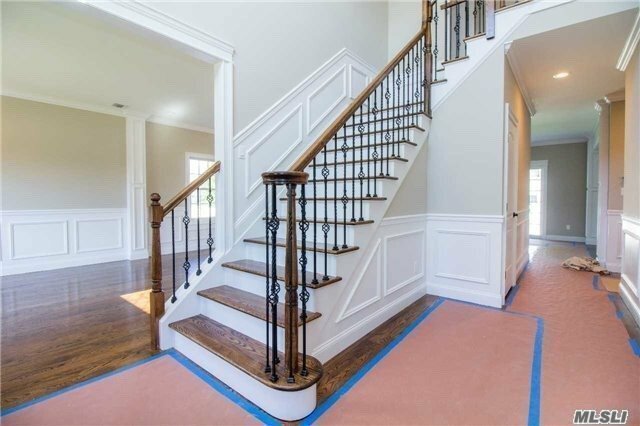 5 Bedroom 3 Full Bath Center Hall Colonial Currently Under Construction - Spring Occupancy. Now Is Time To Customize ! This Double Entry Home Features Hardwood Floors Throughout, Lr, Dr, Eik With Center Island , Ss Ge Appliances, Den.W/Gas Fireplace. Master Br , Ba, W/2 Large Walk In Closets, 3 Br Ba, Laundry On 2nd Floor. Interior Pics Are To Show Quality And Workmanship Of The Builder And Are Not Exact As Home To Be Built. Syosset Groves Elementary, Hbt Middle . Call AnnaLisa Bossio at 516 445 0454 for more information or a private showing.